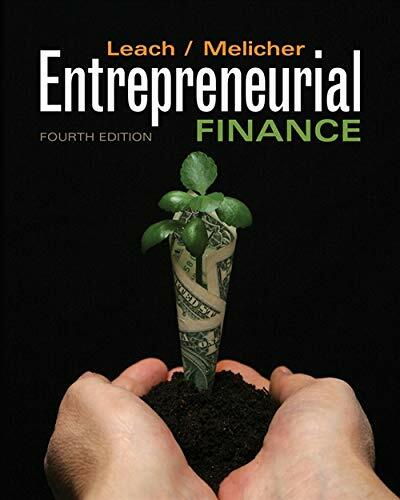 J. Chris Leach is Professor of Finance and the Robert H. and Beverly A Deming Professor in Entrepreneurship at the Leeds School of Business, University of Colorado at Boulder. He received a finance Ph.D. from Cornell University, began his teaching career at the Wharton School, and has been a visiting professor at Carnegie Mellon, the Indian School of Business, and the Stockholm Institute for Financial Research (at the Stockholm School of Economics). His teaching experience includes courses for undergraduates, MBAs, Ph.D. students, and executives. A former Graduate Professor of the Year, he has received multiple awards for MBA Teaching Excellence. Dr. Leach's research on a variety of topics has been published in THE REVIEW OF FINANCIAL STUDIES, JOURNAL OF FINANCIAL AND QUANTITATIVE ANALYSIS, JOURNAL OF BUSINESS, JOURNAL OF ACCOUNTING, AUDITING AND FINANCE, REVIEW OF ECONOMIC DYNAMICS, and JOURNAL OF MONEY, CREDIT AND BANKING, among others. His business background includes various startups dating back to his early teens in the 1970s. During his transition to the University of Colorado, he was chairman of a New Mexico startup and later participated as an investor and advisor in a late-1990s Silicon Valley startup that subsequently merged into a public company. Dr. Leach's consulting activities include business and strategic planning advising, valuation, and deal structure for early stage and small businesses. In addition, he is a member of the Deming Center board of directors and a faculty advisor for the Deming Center Venture Fund, where his MBA teams have qualified for nine international championships for the Venture Capital Investment Competition. "I have a strong preference for your text. You have better examples and cover more relevant content." "I like content; I like the finance involved and I like valuation which is so necessary for this class." Leach, J. Chris; Melicher, Ronald W.